YouTube launched a feature of downloading videos to watch offline around five years back. By now in around 154 countries this feature is being used by many YouTube users. Some parts of the world have this feature for free while some of them have to get the Premium Subscription to avail the offline downloading service. 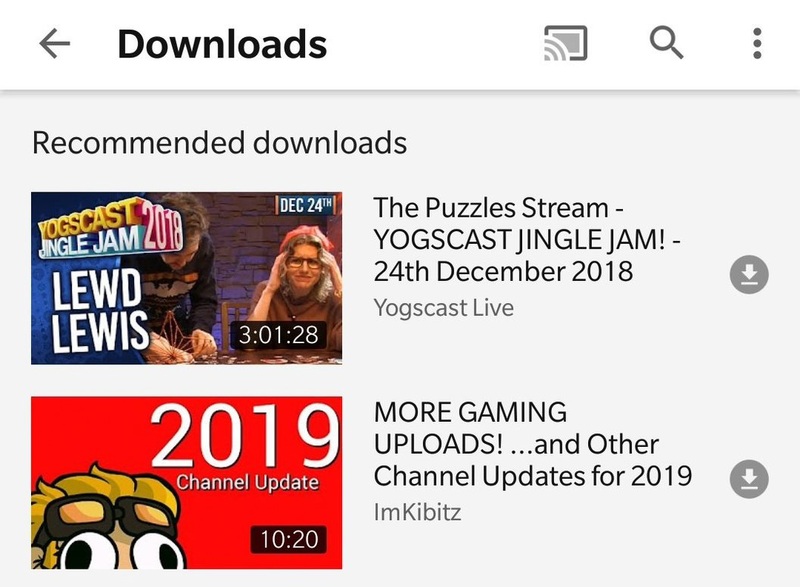 To make the download more engaging, YouTube has now launched a new feature “Recommended Downloads”. It now recommends viewers to download videos that might be of their interest based on the videos they have watched or already downloaded. This feature is available in the Downloads section of YouTube. For now, this is not introduced in all countries. Only a few selected markets have this feature. This will let YouTube analyze whether they should introduce it on a wider level or not. Not to forget, other video streaming sites, like Netflix, already has this feature. Likewise, YouTube is also trying to upgrade itself with this by seeing the outcome of specific areas.